Healthy lifestyles are all the rage – they’ve even reached the gambling world. Want to be one of the first to experience it? 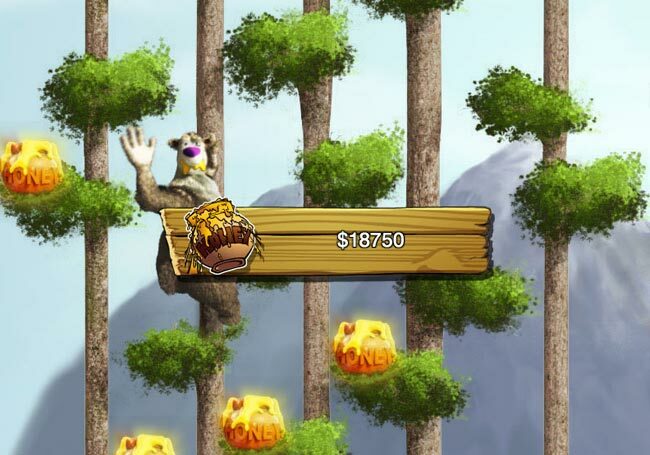 Head out into the open air of Bonus Bear Slots Machine and take a breath of fresh air! Natural products aren’t cheap, but isn’t the health of your bank balance worth it? The 5 reel and 25 line environment can have a wholesome influence on your bottom line. Okay, so we’re not doctors. But we think your finances aren’t looking too hot. Your bank balance looks sick. But it is in your power to regain FINANCIAL HEALTH. Write your own prescription with this online slots game. 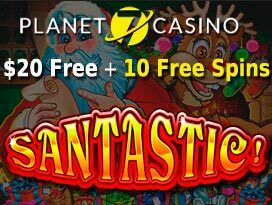 3 Bears from 2nd, 3rd and 4th reel are ordering you to take 15 Free Spins. Tripled rewards promised in the bonus round will soon have you feeling better. You will undergo a valuable honey cure. What else did you expect – bears have a have a sweet tooth? Still craving that sweet taste? 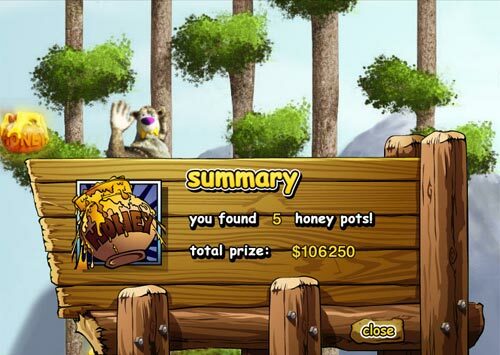 Hit at least 3 Beehive symbols on the screen of Bonus Bears slots to raise more real money in the bonus feature. 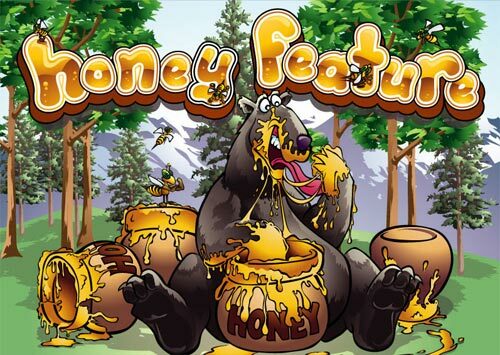 The Honey Bonus feature is triggered and it will satisfy your appetite for rewards. Look around! 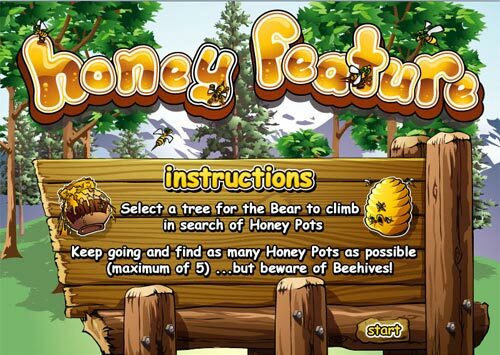 Choose the tallest tree in the gambling forest and delight in Honey-Money Pots. 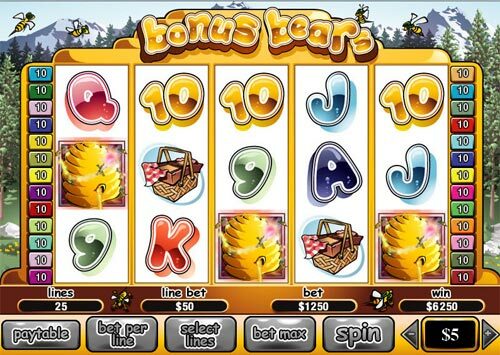 These prizes of slots bonus have a good effect on your mood, at least till you bump into the Beehive. 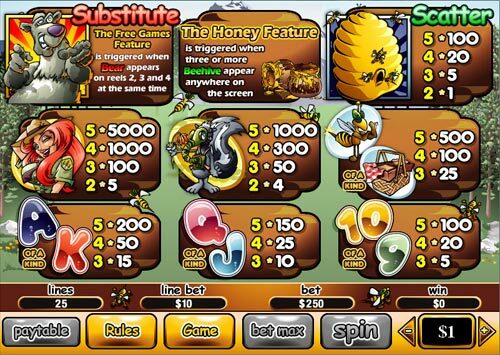 Can a 2x Multiplier help you recover from the effects of the gaming beestings? Cast off your doubts and climb the tree to find more real money. “It’s too hard to create a winning combo – I can’t do it.” Be more optimistic! The Bear agrees – why else become the wild symbol? The savage icon can substitute for all symbols except the scatter. 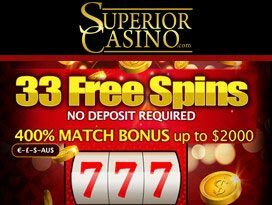 If you want to relish a nice booster of slots online, don’t avoid the scatter symbol. Bees have been working hard to create CASHcombs. 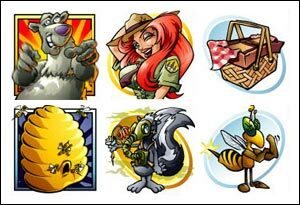 3, 4 or 5 Beehive symbols can award you with a sweet 5x, 20x, 100x Multiplier. Scared of stirring up a scatter hornets’ nest? Don’t be – the prize is worth the risk. When you get back on the ground, you will be pleasantly shocked again. Drunk Happy Bugs are celebrating — they will reward you with a heady combo and lift your mood and balance. The forest looks scary at first, but pretty soon you’ll be impatient to get back to the woods. He who will reap must sow. The bet must be enough to treat yourself with tasty rewards. Want more? Will you be sated with $250,000? 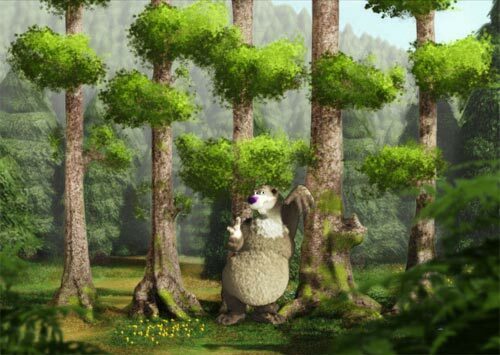 The route through the forest is the shortest, and perhaps the safest one – it can lead you to the highest possible win of 5,000 coins. But if you don’t know the forest, it is hard to orient. 5 SUGAR Rangers’ time has come to help you. Play Bonus Bears slots, place the max bet of $1,250 and keep searching for money. 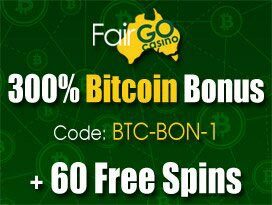 The coin values from $0.01 up to $5.00 should help you create a stake. Place a quantity up to 10 coins per line of small change into the 5 Rangers’ hands to end up with a healthy payoff.